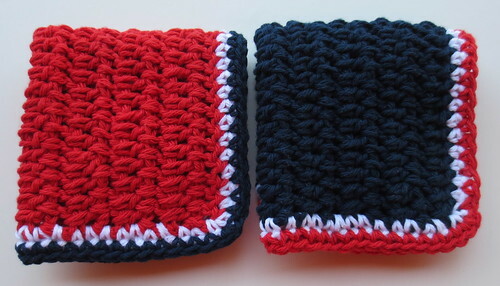 Keeping with my red, white, and blue patriotic theme, I present the In Between Dishcloth. I gave it that name as you double crochet the stitches in between each other for the main body of the cloth. 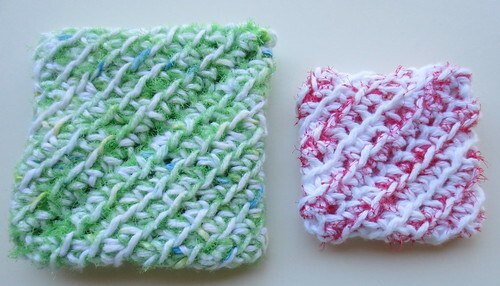 The result is a simple but cute dishcloth pattern that works up fast and is easy to crochet. 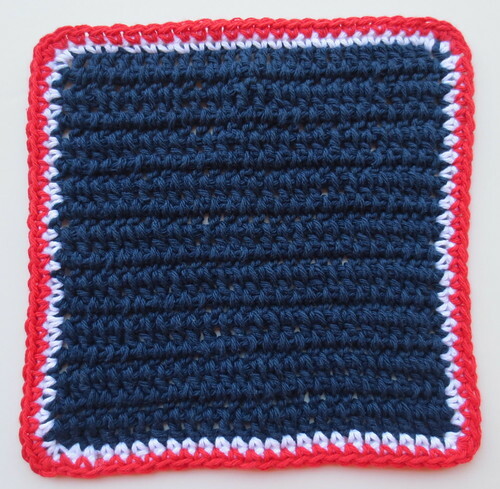 The free crochet pattern below is written for the blue dishcloth as the main color. For the red dishcloth, you just substitute your main yarn using red cotton to start the dishcloth. Then trim around the red cloth using white and finishing with the blue cotton. 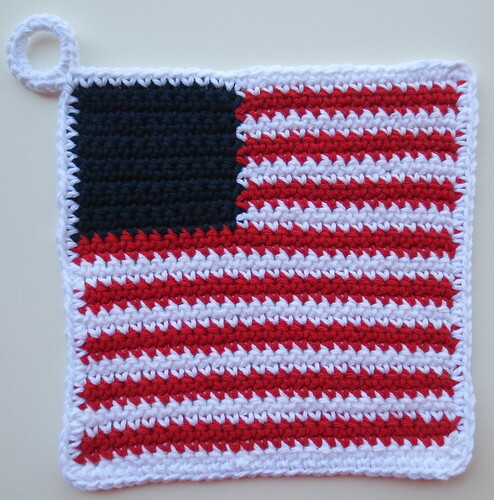 All crochet directions are in USA terms.